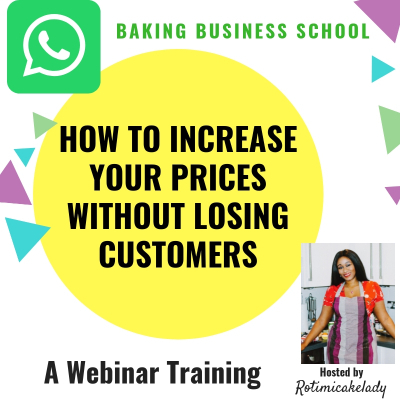 I am a cake business coach that teaches cake business owners how to grow and have a profitable cake business so that they have a constant stream of customers buying their delicious treats. Before the Webinar, you shall receive by email a link of where the Webinar will start. So check your Email on that day. Don't worry i will be sending you regular reminders on that day. An Email Shall be Sent To You Nearer The Time Of The Webinar With a Link Where You Will Be Able To Watch the Webinar.